Buy this promotion and discover all the wonders of the Kingdom for yourself. With absolutely jaw-dropping countryside in every direction, you will not be short of things to see, but you may end up short of breath! The natural splendours of Kerry can’t be overstated in terms of their beauty. Killarney itself is a throbbing hub of vibrant culture and activity, and you will want to return again and again to sample its many bars and restaurants. There is nothing quite like the feeling of making an Escape - that happy sense of seeing all your worries shrink on the horizon behind you, as you scoot off for a relaxing break! With this fantastic deal, you can mainline that feeling with an Escape in the beautiful heart of Kerry! The Heights Hotel Killarney is a stunning family run hotel, famed for its warm welcome and unparalleled standards of service. Situated just five minutes from Killarney town centre, it’s the ideal base for exploring Killarney’s magnificent sights and attractions. Why not enjoy the fantastic fresh locally sourced cuisine at the hotel’s Mill Restaurant, which boasts spectacular views of the Mangerton and Torc mountains. After dinner, you can soak in the buzzing ambience of the hotel’s bar with your favourite tipple and your favourite person! 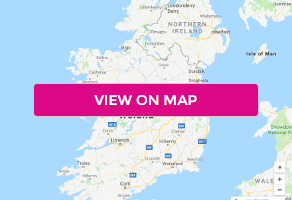 You're also perfectly placed to explore some of Ireland's most stunning attractions including The Ring of Kerry, the Lakes of Killarney, Ross Castle, the Gap of Dunloe, Muckross House and Gardens, Torc Waterfall, The Kerry Way, Coolwood Wildlife Park and Killarney National Park. Whisk a loved one away to the Heights Hotel Killarney), and make a relaxing Escape that will keep you smiling long after you leave.